We specialize in steel pickling. We chemically remove rust, carbon scale and corrosion from metal without the damage other processes can cause, such as mechanical cleaning or grinding. Large or small jobs are welcome and are treated on an individual basis. We also have two band saws we use for saw cutting steel to your specifications. Our big storage area can handle large amounts of steel on a “Release-on-demand” basis. 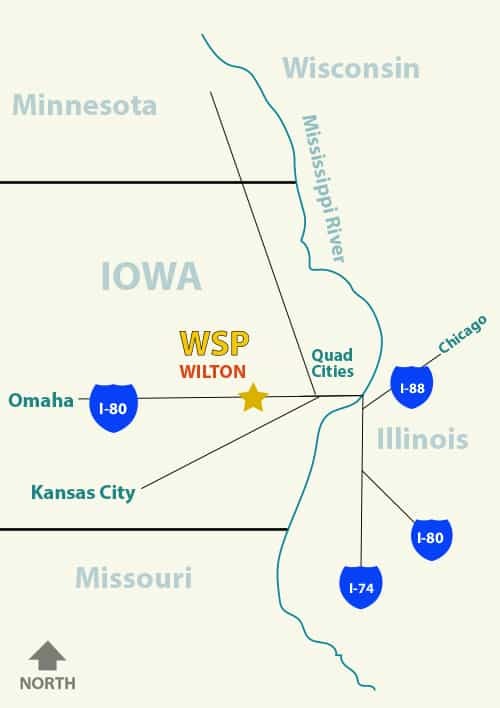 Our convenient location in Wilton, Iowa serves the needs of many Midwest manufacturers as we are just off I-80 and near the Quad Cities and the Mississippi River, offering the advantage of quick and economical transportation of goods. Save time with our prompt 24-hour service. Save money with our economical process. Save freight charges with the area’s lower tariff rates. Save paperwork with our “Release-On-Demand” option. Save the hassle of rejects with WSP’s reliable quality.